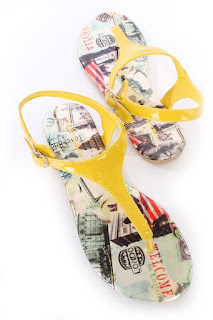 Shoes in yellow for one second will add a playful combination of your apparel. No matter what shade of yellow chose, fresh shade of a lemon, warm color of the sunflower or mustard yellow is very important to choose the outfit that will not put the sandals in the background. Pinkbasis is excellent shops, and in it you can find a beautiful selection of shoes, not only in yellow, but in different colors, with different designs … They provide a large selection of shoes, but most importantly is that the shoes are made of great material and are very comfortable. Visit this extraordinary online store and find your favorite shoes at an affordable price, you might get some discount.